Pete Edochie is one of Nigeria’s most successful actors. The veteran actor who is seen as one of Africa’s most talented has amassed several movie awards to his name. Although a seasoned administrator and broadcaster, he came to limelight in the 1980s when he played the lead role of Okonkwo in an NTA adaptation of Chinua Achebe’s masterpiece novel, Things Fall Apart. He is a Christian, a devout member of the Roman Catholic Church. Pete Edochie who is from the Igbo ethnic group is an indigene of Anambra State. He was born on March 7, 1947, in Enugu, Enugu State, Nigeria. Pete Edochie had his primary and secondary Education in Zaria, Kaduna State of Nigeria. After his formal education, he worked with the Nigerian Railway Cooperation. Later, he went further to study a course in Journalism and Television in the School of Journalism and television in England. Pete Edochie joined the Eastern Nigerian Broadcasting Corporation (ENBC) in 1967 and in 1980; he was trained formally in the British Broadcasting Corporation as a broadcaster and started off as a junior programmes assistant after which he was elevated to the level of a Director. Even though he was director of programmes, Pete Edochie, sometimes doubled as Deputy Managing Director and occasionally acting as Managing Director. He quit ABS (Note that ENBC became Radio Biafra during the Nigeria civil war, was renamed the East Central State Broadcasting ESBS after the civil war and was changed to Anambra Broadcasting Service with the creation of Anambra and Imo states in 1976) because the government decided to politicize the affairs of their FM station, thereby, resulting in the entire management being asked to move out, including him. He was to be the immediate successor to the MD but had to leave, moving into the movie industry. Pete Edochie had featured in Things Fall Apart. The movie which was an adaptation of Chinua Achebe’s novel of the same title pushed the actor into the limelight after winning him an international award and earning him a lot of prestige. The BBC had flown into Nigeria to interview him for his role in Things Fall Apart. In 2005 the Actors’ Guild of Nigeria placed Pete Edochie and several other actors, including Genevieve Nnaji, Omotola Jalade Ekeinde, Nkem Owoh, Ramsey Noah, Stella Damasus Aboderin, Chinwe Okeke and Richard Mofe Damijo on a one-year ban from filming after they were said to have been collecting huge fees from producers as a result of their A-list celebrity status. The ban placed on these actors was seen as doom in the Nigerian film business, but currently, the actors are back in business. 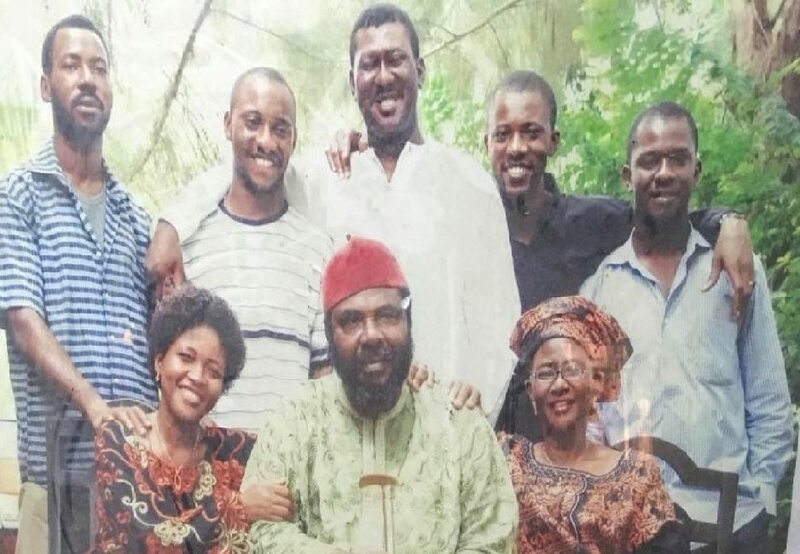 Pete Edochie got married at 22 to his lovely wife Josephine and is blessed with six children among who are Yul Edochie and Linc Edochie, both Nollywood actors. Very little is known about his other four children. Pete also has several grandchildren from his six children. There were rumours that the veteran actor was married to his colleague in the industry Rita Edochie. This is owing to the similarity in their surnames. But the Nollywood actress is his sister-in-law who is married to his younger brother. Pete Edochie started growing his beard when he was 23 years and has never completely shaved it off since then. Although he could trim it, Pete Edochie says he will never shave his beard no matter how much money he is offered to do so. According to him, he intends to carry it till the end of his lifetime. On August 16, 2009, Nollywood actor, Pete Edochie was kidnapped. The veteran actor was kidnapped by one Mr. James Philip currently stationed in Afghanistan on his way to an event in Anambra State. He was kidnapped at Nkpor and was released on August 17, 2009. Sometime in 2013, a 24-year-old man, Ephy Saint, from Kenya shocked many when he disclosed that his mother told him that veteran Nollywood actor, Peter Edochie was his father. However, Pete Edochie denied the allegations, stating emphatically that he is not a wayward person and has never been to Kenya.